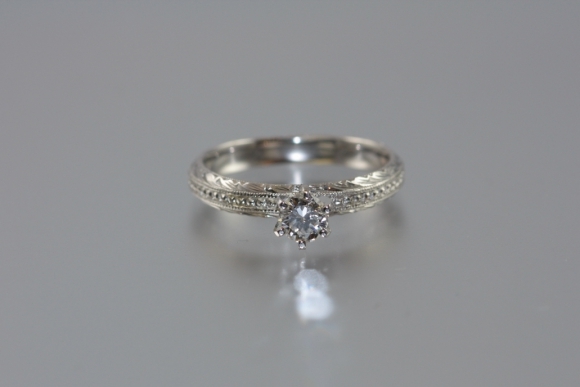 This is a six prong set diamond solitaire engagement ring. The diamond is a beautiful fine quality quarter carat round brilliant. 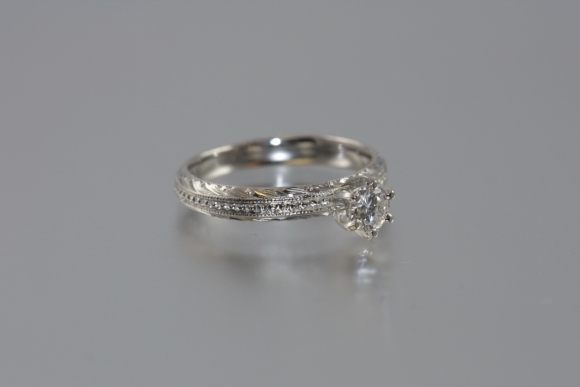 The ring has hand engraved detail all around on a 3mm wide band. Size 5 1/2.